Duca del Cosma is the first shoe fashion brand to commit to exhibiting its products at the inaugural British Golf Show this Spring, alongside other luxury brands offering super yachts, private jets and expensive jewellery. The brand that has revolutionised golf shoe fashion and offers the perfect designs for the new generation of players, will be showcasing its stylish footwear at Wycombe Air Park in May (17-18). The exhibition is being staged by The Elite Events, which sets up exclusive Jet-Set lifestyle events in London and New York. More than 150 brands across six lifestyle sectors will feature at the show, as well as 30 live experiences for the thousands of affluent visitors expected to attend. The distinctive footwear brand recently unveiled its eye-catching new range for this season featuring its distinctive soft spiked shoes and golf boots. The star product in the latest range is the HERITAGE men’s shoe. It is made from full-grain leather for maximum comfort, while the brand’s exclusive waterproof microfibre system means playing in wet conditions will never be a problem. Leading the women’s range is the CYPRESS soft spiked shoe that offers a combination of high-quality style and outstanding performance. 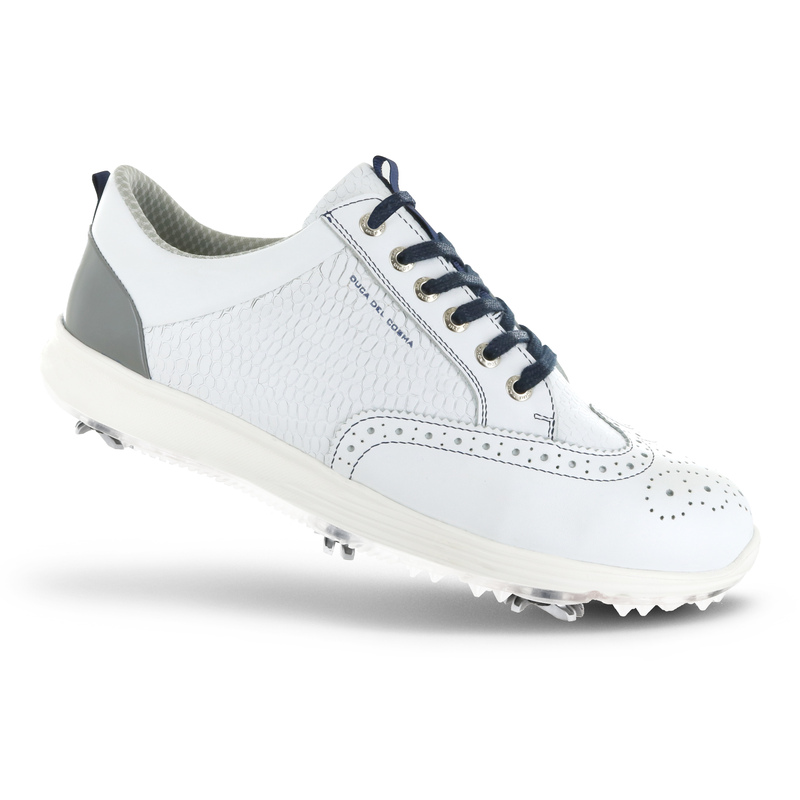 Duca del Cosma also revealed its new premier ladies golf shoe, KUBANA, which offers femininity and functionality, ensuring golfers can step out onto the course in style and comfort, while being assured their feet will remain dry. As well as an extensive network of golf agents around the UK and Ireland, Duca del Cosma recently signed the David Snowdon Brand Management agency to represent its new Lifestyle collection. To find out more about Duca del Cosma, visit www.ducadelcosma.com.